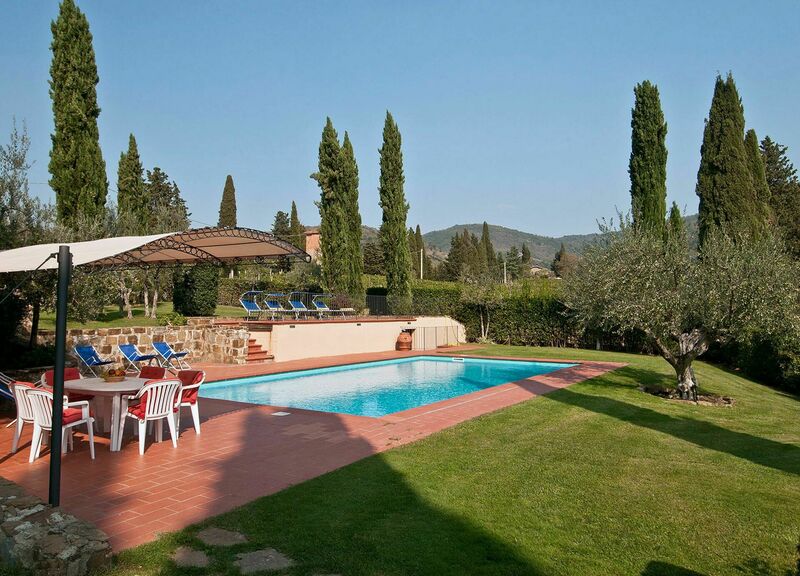 This very attractive villa was originally built in the second half of the 19th century, and has been completely renovated throughout. 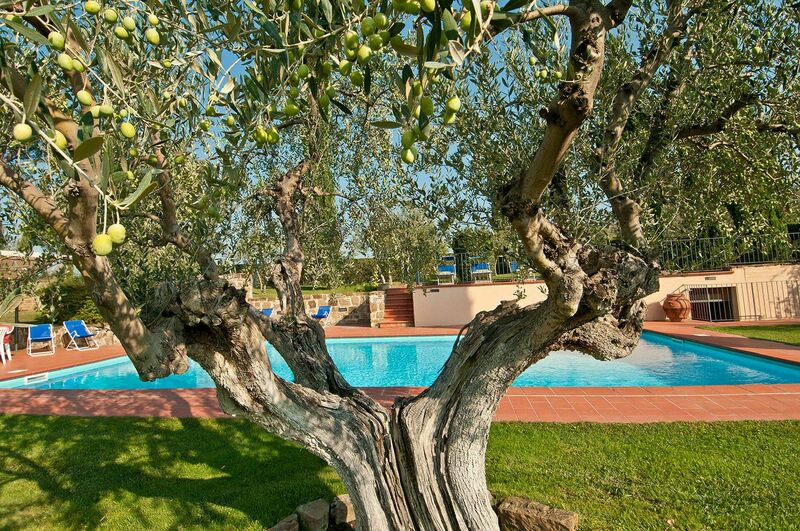 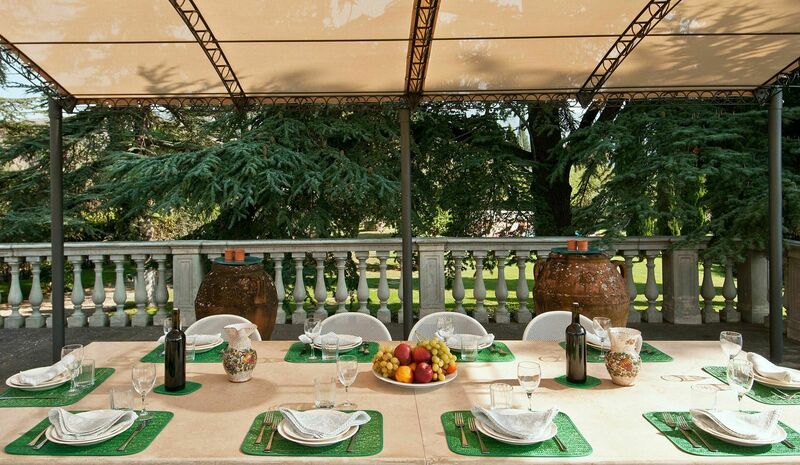 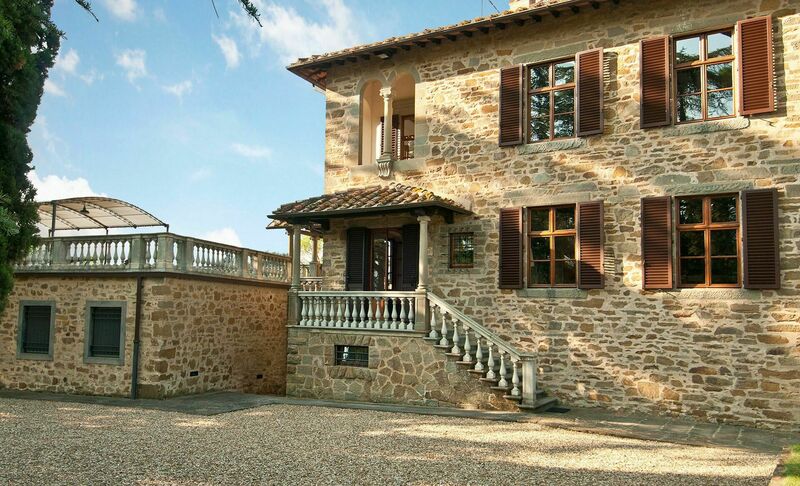 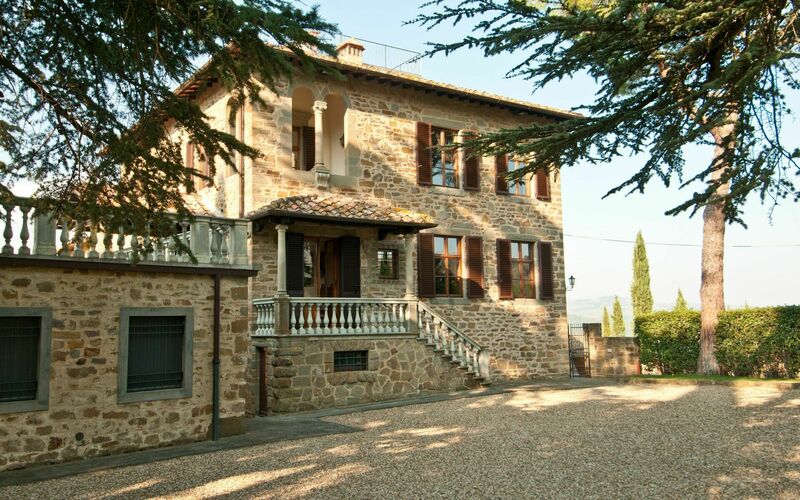 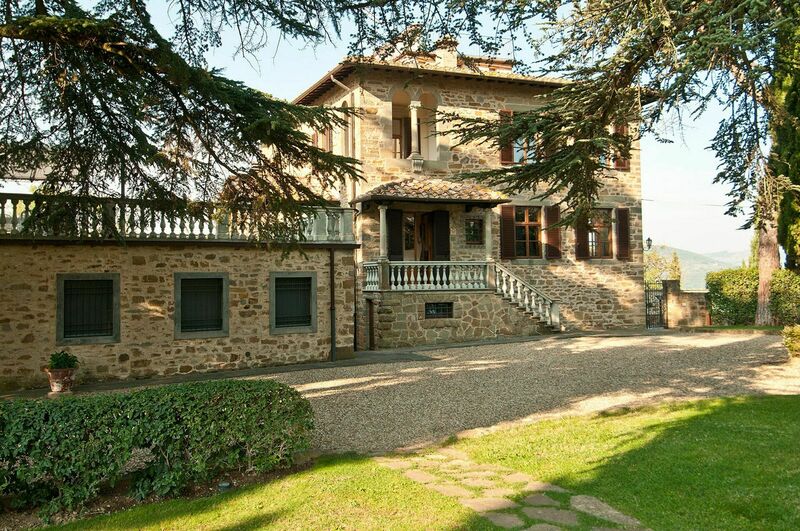 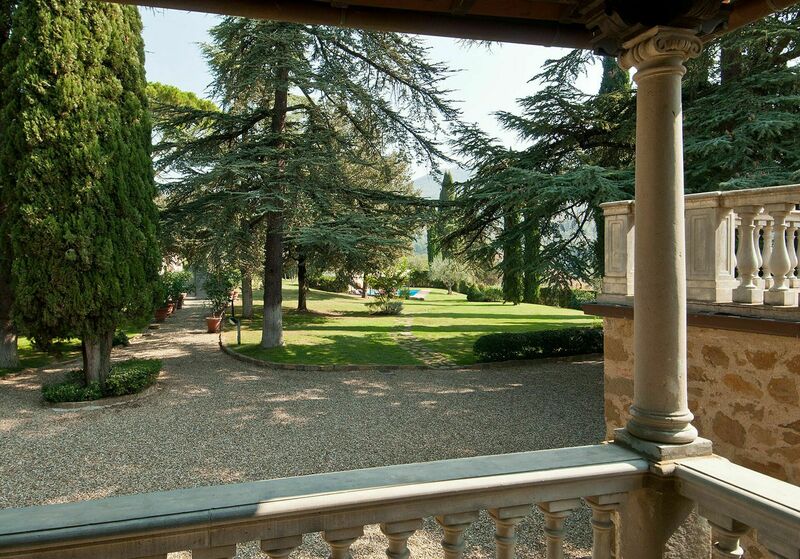 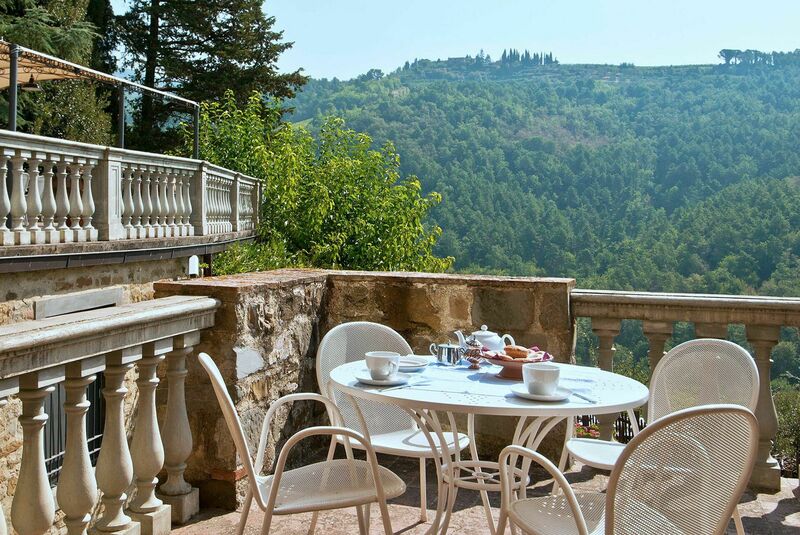 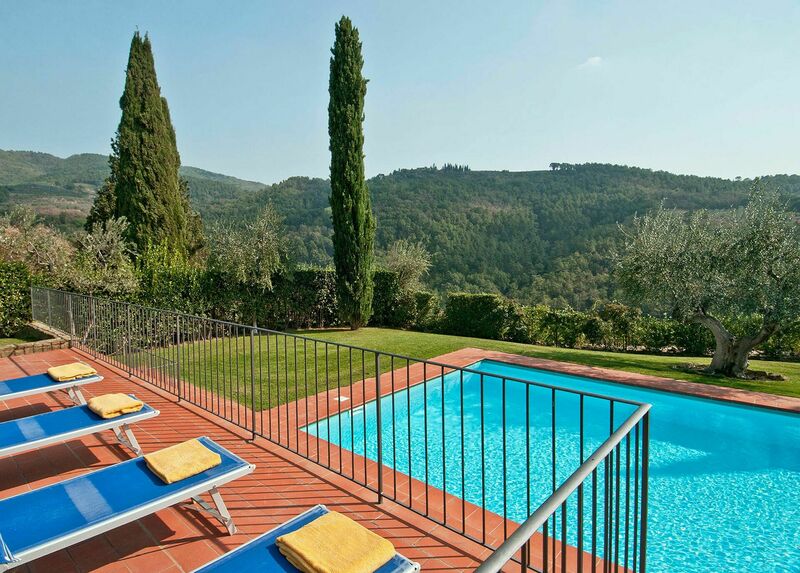 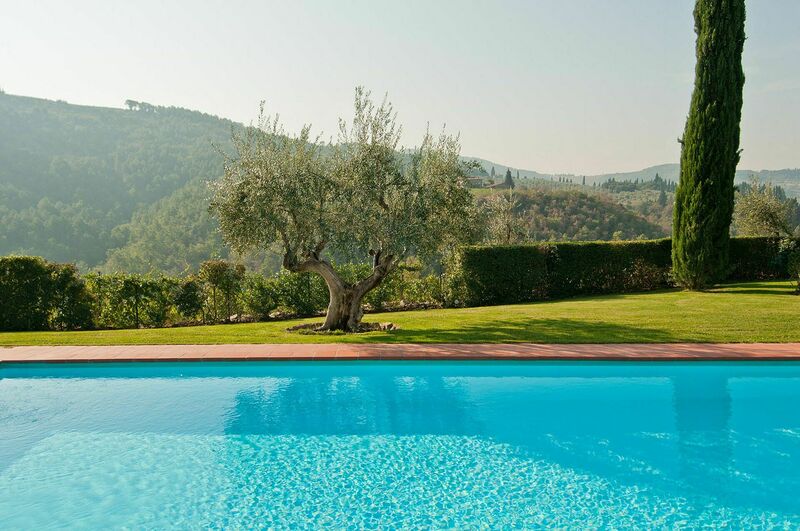 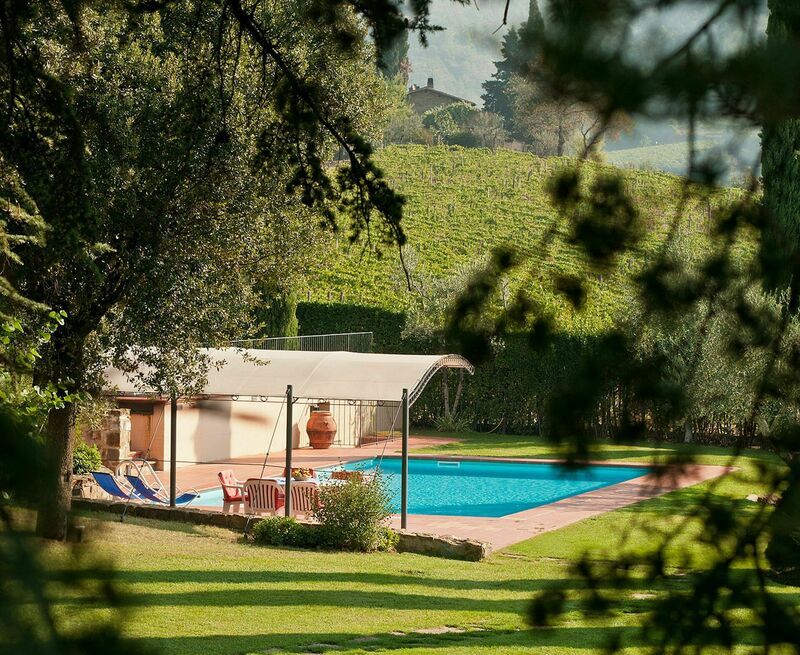 The views from the property are like a picture of typical Chianti landscape, rich with gently rolling hills covered with vineyards and olive groves. 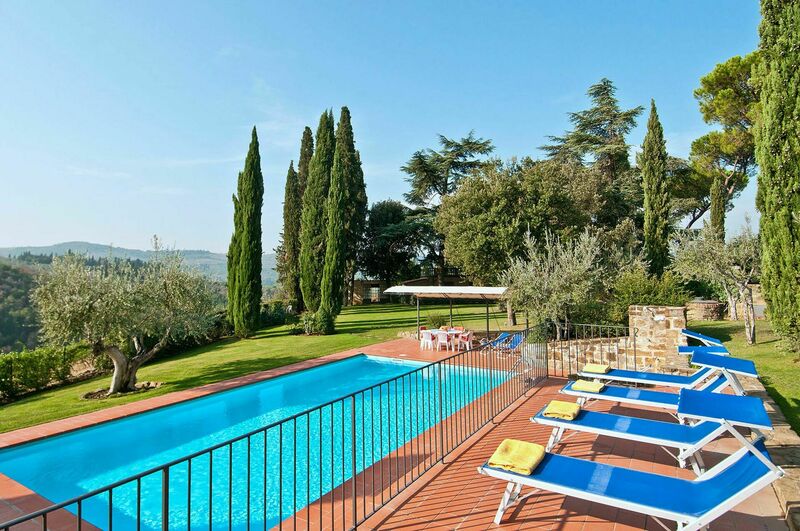 Only 4 kms away from Greve in Chianti, Montoro is an ideal base for sightseeing and trips in the Chianti area and to both the larger Tuscan cities, like Florence and Siena, and the smaller towns. 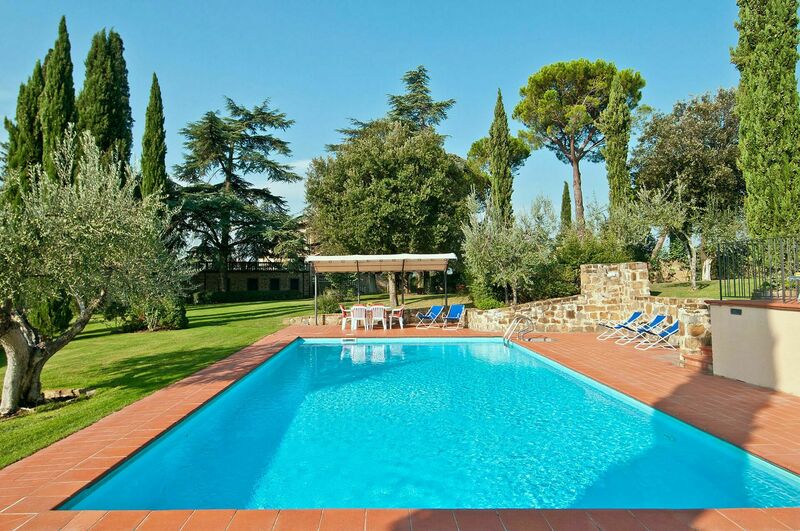 Within the well-maintained fenced garden with trees and flower beds, there is a swimming pool, surrounded by a terrace. 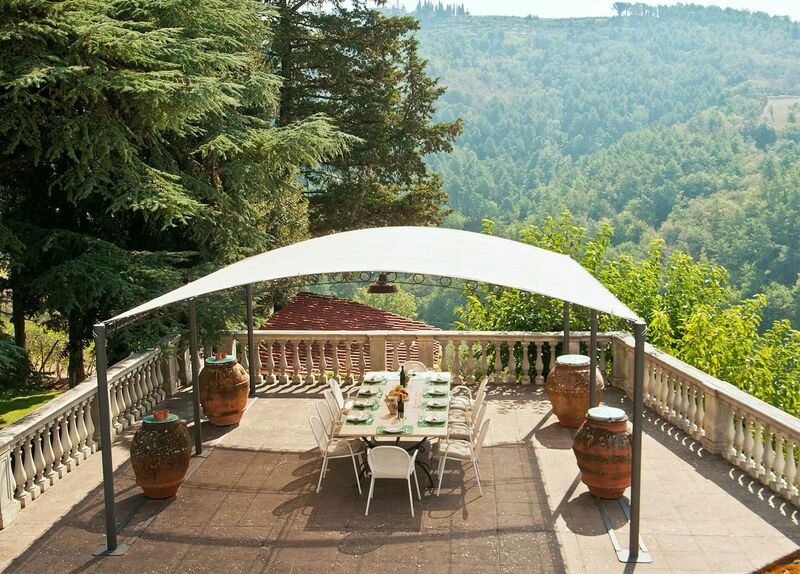 Its structure makes Montoro suitable also for children. 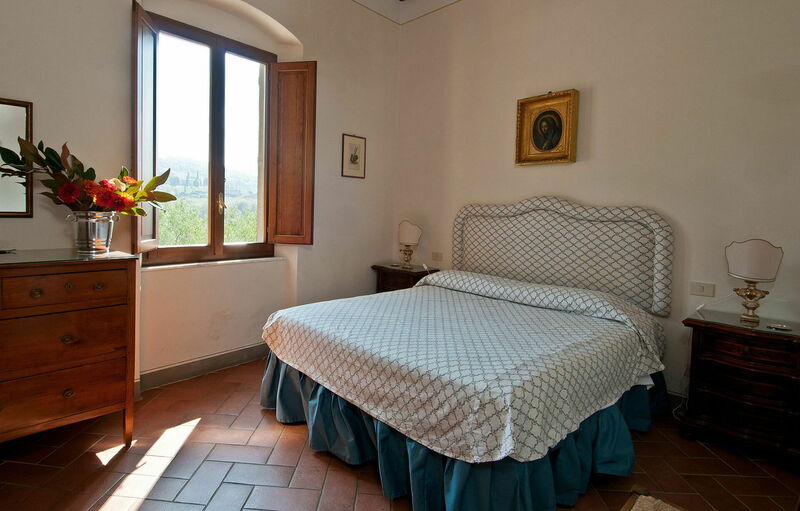 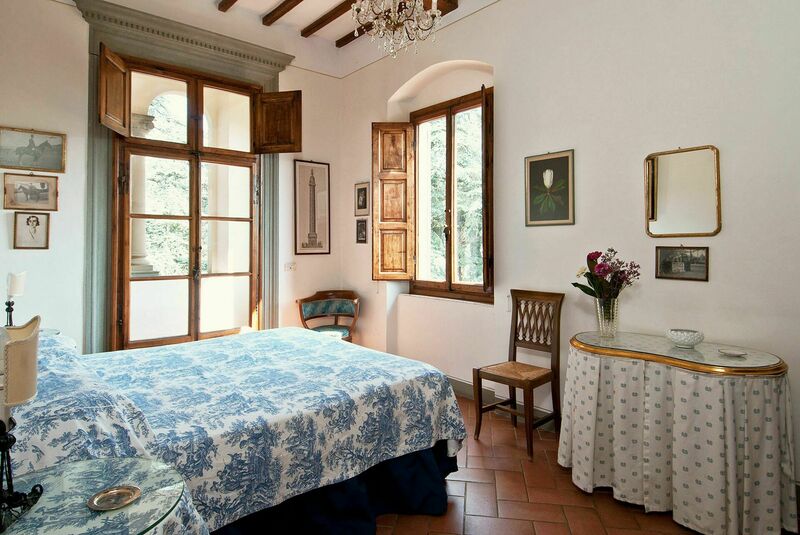 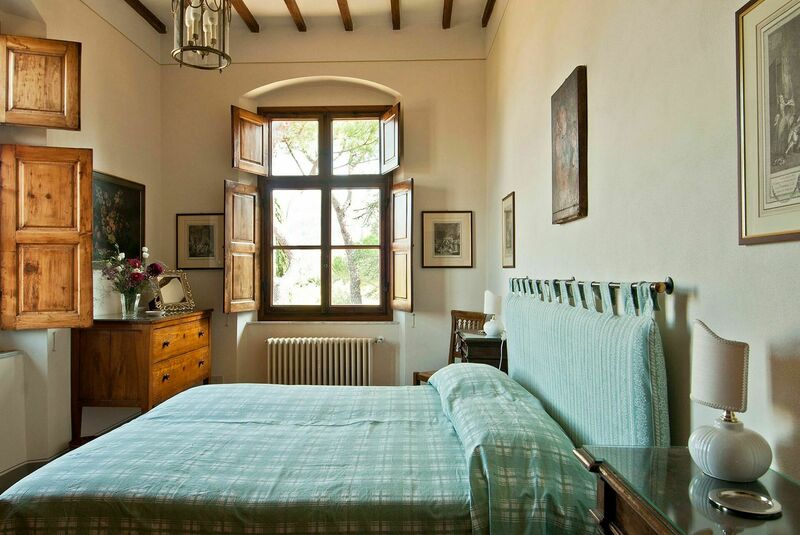 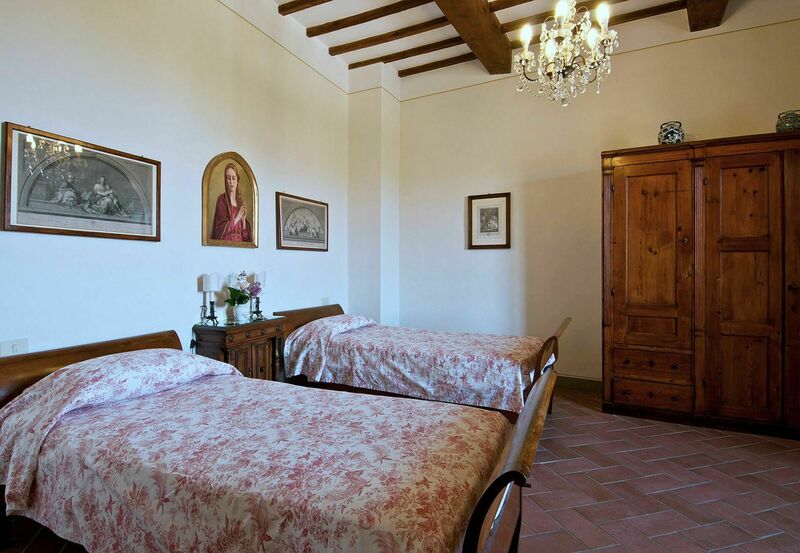 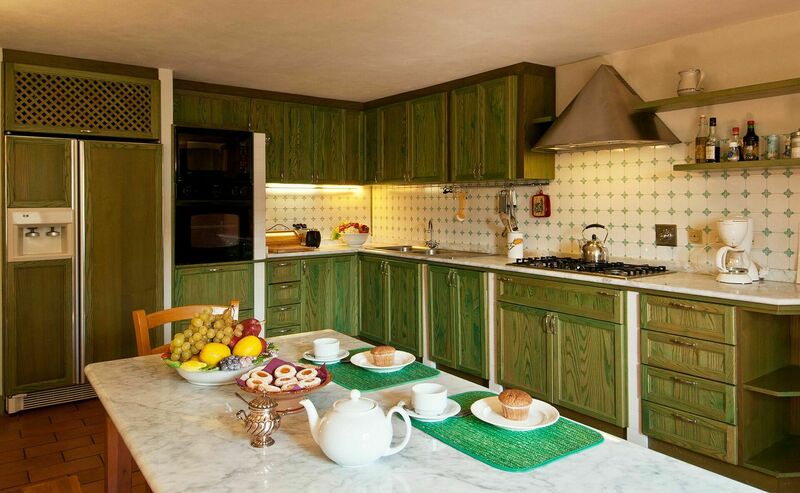 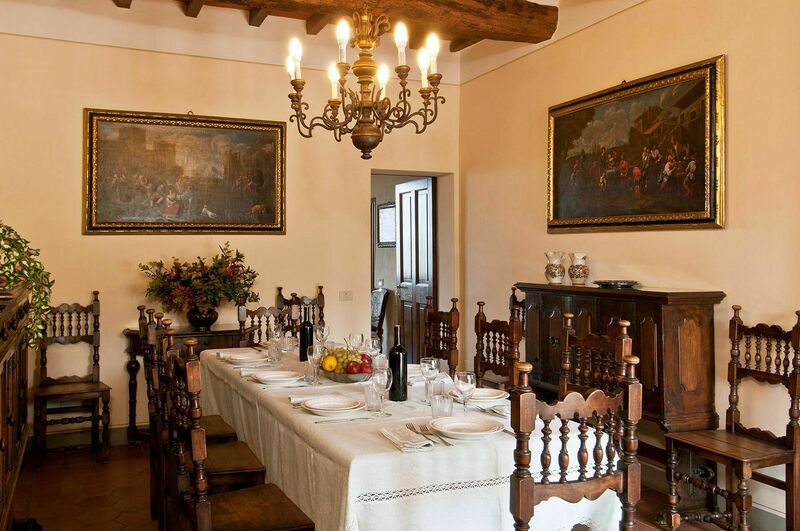 The interiors of the house are furnished with comfortable, traditional furniture, antiques and there is a very well-equipped kitchen and modern bathrooms. 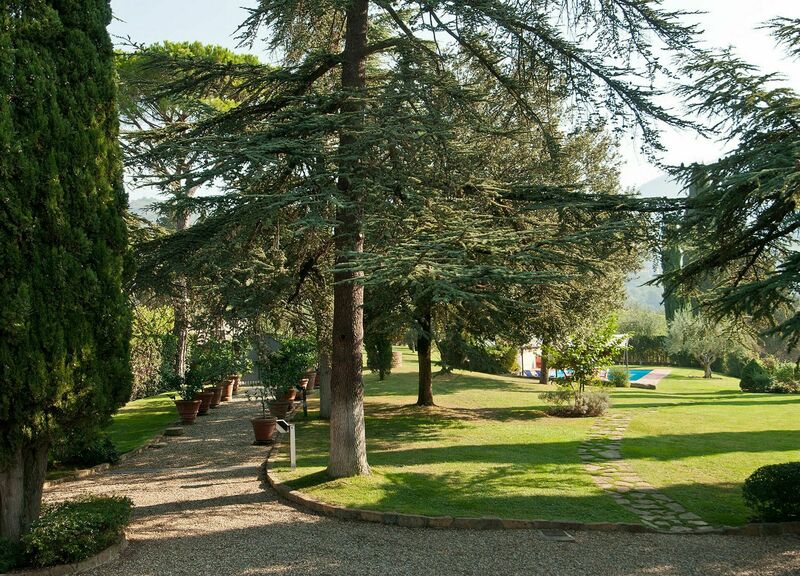 A wireless internet network has been installed at the property for guests who wish to access internet during their stay. 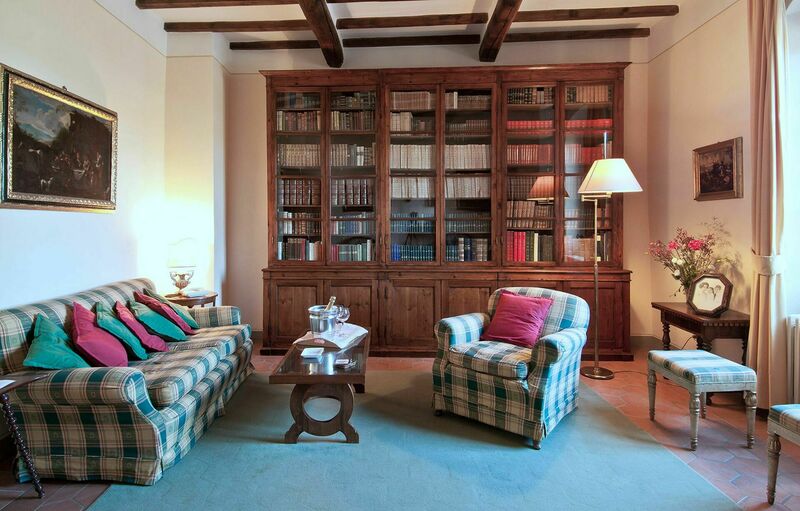 The property also has SKY cable television which allows guests to view movies, news and cartoons in English. 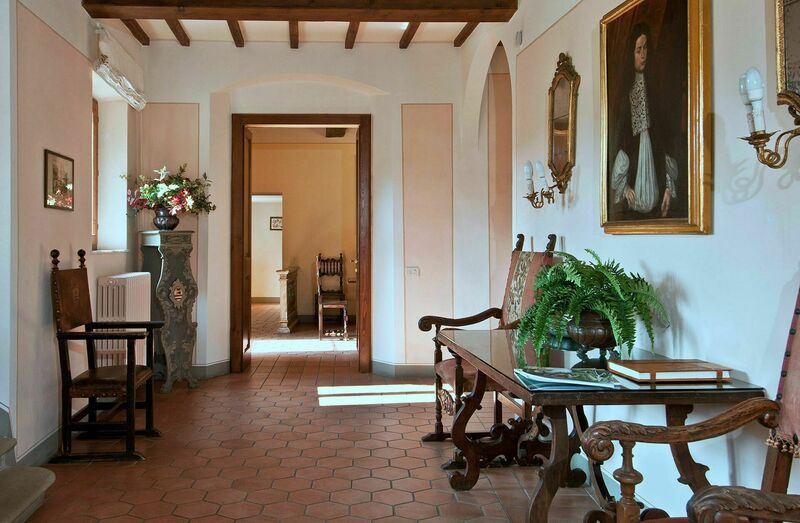 Cleaning service is included 2 hours a day, 5 days a week. 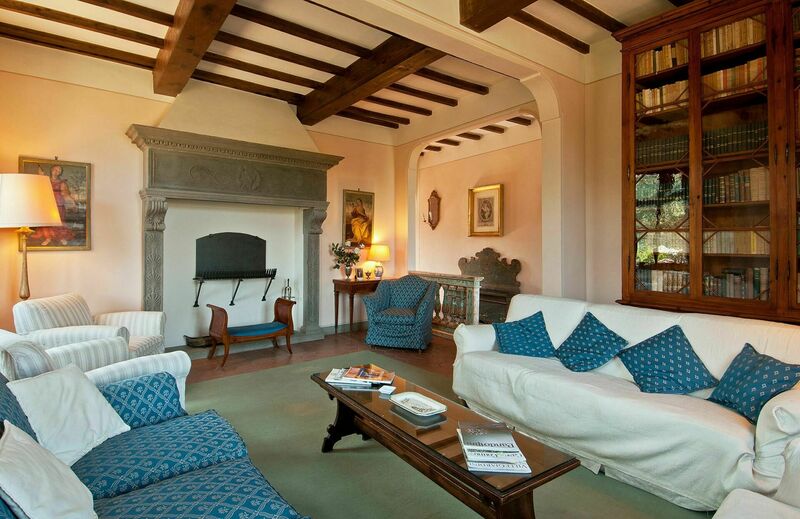 Entrance hall, opening to a large terrace furnished for outdoor meals; sitting room; sitting room with satellite TV; dining room, opening to a small terrace with BBQ; kitchen. 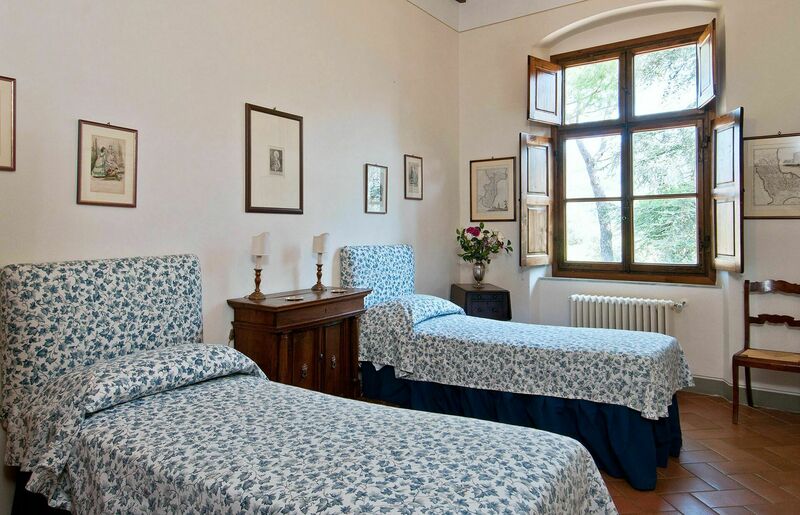 Twin bedroom; 3 double bedrooms; twin bedroom, opening to a small covered terrace; 2 bathrooms (both with shower) and one bathroom (bathtub).